Ideal for use as both a mens wedding band or a womens wedding ring, this sleek tungsten carbide ring has a highly polished, mirror like finish. 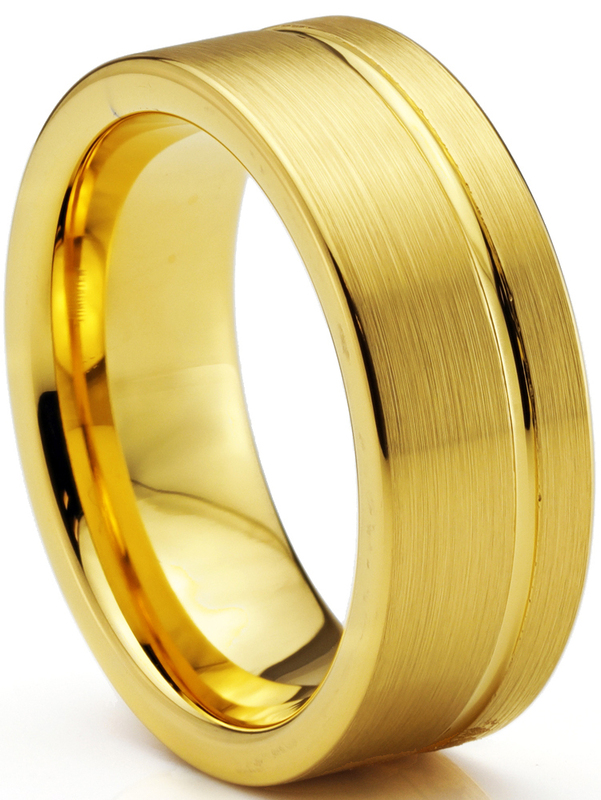 The simple yet stylish design includes Flat Cut and shows off the 18k Yellow Gold Plated. Available in whole and half sizes 4 to 15, the ring is 8 millimeters wide.